Apple has been awarded $120 million compensation in the latest episode of the long running drama from the court room. Although a huge sum by most measures this is loose change compared to the $2.2 billion it had sought, meaning Apple had only been awarded 5% of what it had asked. It has been suggested that the damages awarded would barely cover the costs of bringing the case the court in the first place. The ruling is the result of one of the many alleged patent infringements by Samsung that seem to be a permanent feature between Apple and other rival smart phone companies. Features such as ‘slide to unlock’ and ‘universal search’ were two of the five infringements this time around. In true legal fashion this is still not a done deal. The amount awarded could still be changed if either side appeal the decision and the ruling only covers the US market. 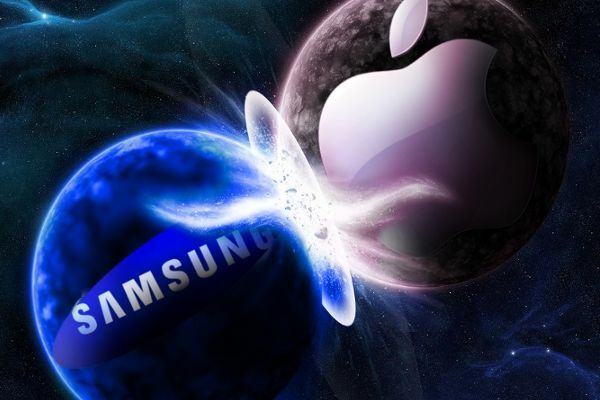 Apple would need to launch similar law suits in all of the other countries that it shares the market place with Samsung. This fact in itself is said by some to be a futile battle which serves no real purpose to the end users, and is merely a muscle flexing exercise for these large companies. The flip side of this argument is that in a global market worth $330 billion, anything that a company can do to get even a small percentage advantage in sales can translate into billions of dollars. Samsung have said that the patent claims relate to the Android operating system which Samsung merely uses, and which is created by Google. Therefore any claims should be with Google not Samsung. Whilst the current Executive Chairman of Google, Eric Schmidt, was on the board of Apple he was also the CEO of Google. At this time Google decided to get into the smart phone business which didn’t go down well in the Apple camp. After Schmidt left Apple Steve Jobs said he would use “thermo-nuclear war” to destroy Android and anyone associated with it. It appears Jobs is true to his word.